On your Edit Coach Profile page on the Overview tab. Scroll down to the Your Referral Link section. 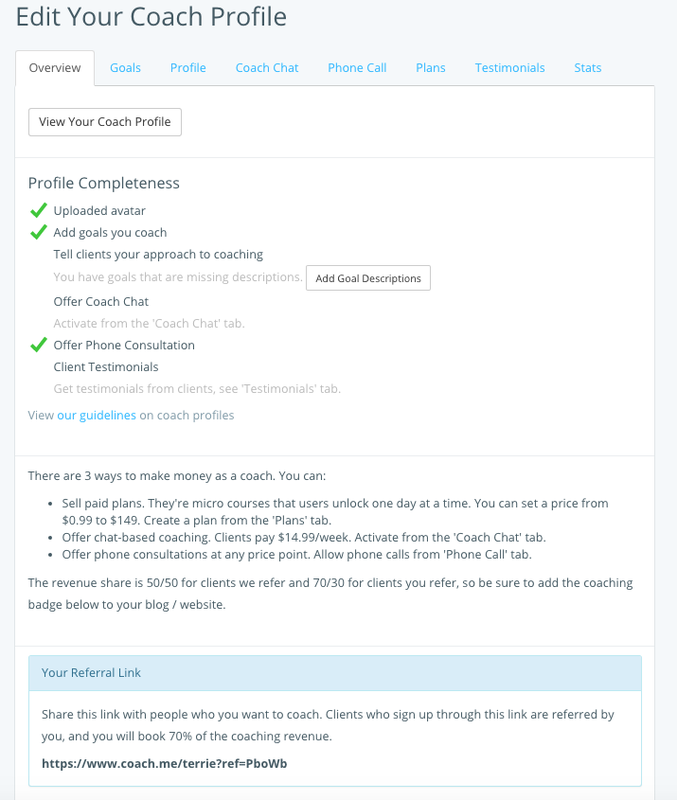 By sharing the referral link you'll get an extra 20% of any coaching that a client purchases.